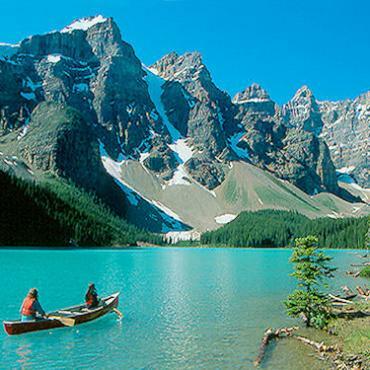 Choose to explore the Canadian Rockies by either SUV or motorhome on this leisurely two-week Alberta family holiday. Wildlife, wondrous scenery and wow-moments await you around every bend on this adventure through this astonishing part of Canada. To order your free map of Alberta click here. This holiday is also available in a motorhome. All Bon Voyage holidays are tailor-made, please call to discuss your family adventure further. 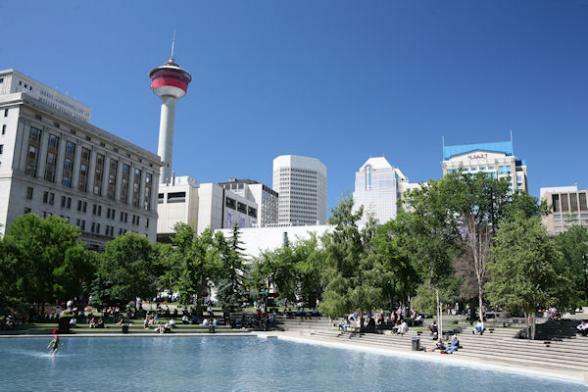 Two nights in Calgary will give the family time to fully explore this exciting city. 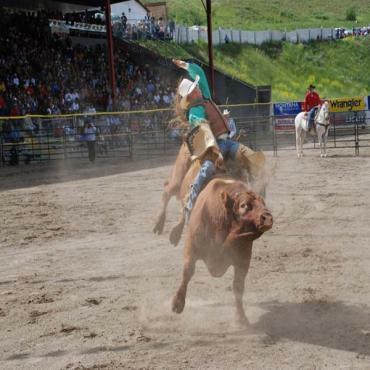 If you're lucky enough to be there in July, we suggest you include the Calgary Stampede in this itinerary. It's 10 days of non-stop western entertainment and nail-biting rodeos. In Calgary the kids will adore the Glenbow Museum where they can get an insight into Native aboriginal lifestyles. The views from the Calgary Tower over the Rocky Mountains are amazing and they're sure to squeal with delight at the glass floor dropping below their feet for 535 ft! Heritage Park, Canada's largest living history museum, shows how the West Was Once and has interesting hands-on exhibits for children and adults alike. 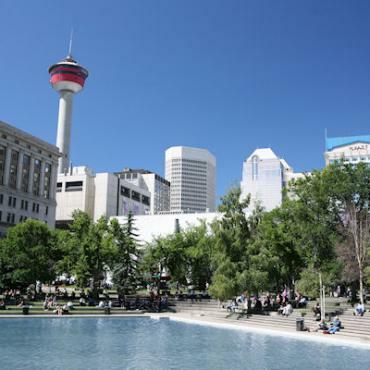 Be sure to take the family to downtown Calgary which is packed full of outdoor cafes and shops, it's the perfect place to kit out the family in western gear and cowboy boots for their Alberta adventure ahead. 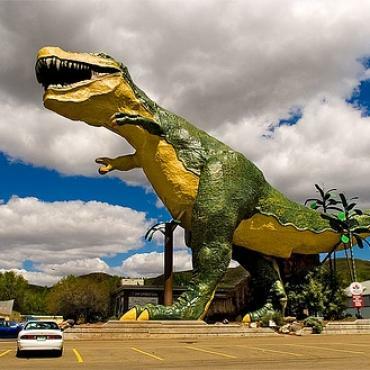 It's a short and very scenic drive today into the very heart of Alberta's famous Badlands and the town of Drumheller, which is home to the world's largest Dinosaur statue. Kids are actively encouraged to clamber all over this statue. Family time in Drumheller can be spent at the Bison Farm and the amazing Royal Tyrrell Museum. 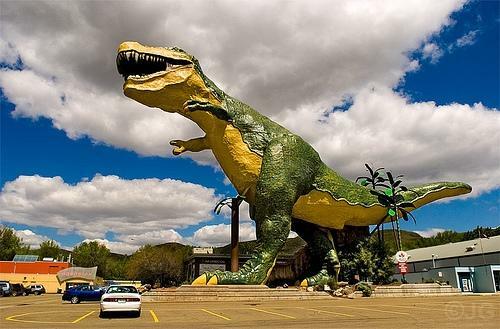 This world-class museum is dedicated to the study of Drumheller's early residents, the dinosaurs. It's home to 40 dinosaur skeletons and over 11 million fossil specimens. In the Provincial Dinosaur Park the whole family can enjoy digging for dinosaur fossils and take part in other exciting dinosaur activities. The next two days will provide endless fun for all the family as you enjoy the western activities at Brown Creek Ranch. 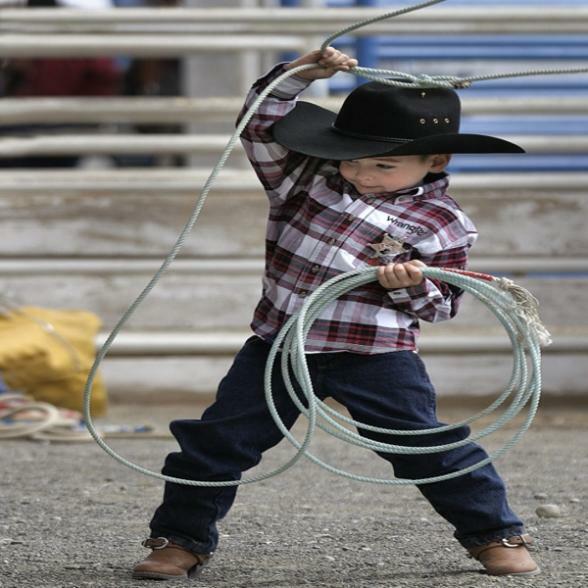 Enjoy trail rides and learn ranching skills on a working Alberta beef farm. Take part in sing songs around the camp fire, be sure to keep an eye out for the local wildlife, deer, beaver, coyotes and wolves. From the ranch you can also visit a UNESCO World Heritage site at Head-Smashed-in Buffalo Jump. At the interesting interpretative centre here you'll learn about the history and culture of the plains people. Breathtaking Waterton National Park lies on the Canadian/American border. From here the family can explore the sights of Waterton National Park such as Red Rock Canyon and the Blakiston River Valley. Be sure to enjoy a picnic by the river, a canoe tour or a leisurely cruise on the lake. This is bear and bighorn sheep country, so have you cameras at the ready (from a safe distance, of course). The Bar U Ranch National Historic Site - a living museum ranch, is a great place to visit to learn about western heritage in this region. Your next stop is for three nights in Alberta's highest town, Banff. Surrounded by majestic mountains and over 2,500 square miles of lakes, glaciers, forests and rivers, you'll be super impressed with the scenery. Here the family can take a dip in the soothing the Banff Springs mineral pools, enjoy a gondola ride up Sulphur Mountain or head off for a gentle trek, or mountain bike ride. 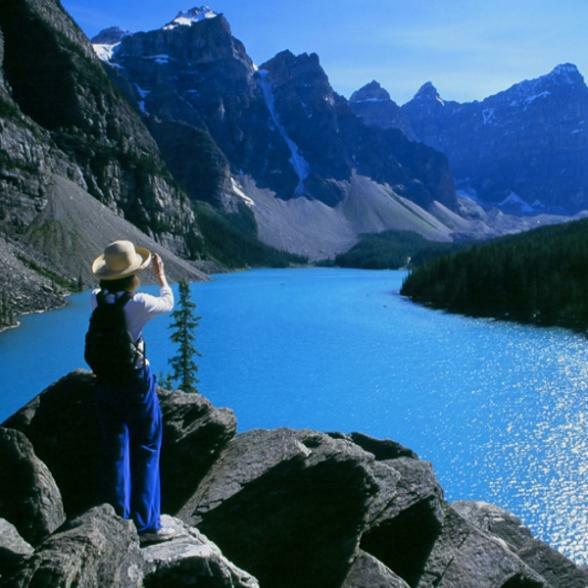 Nearby, Lake Louise is a must-do too whilst in this area, the world-famous aquamarine lake is seriously stunning. 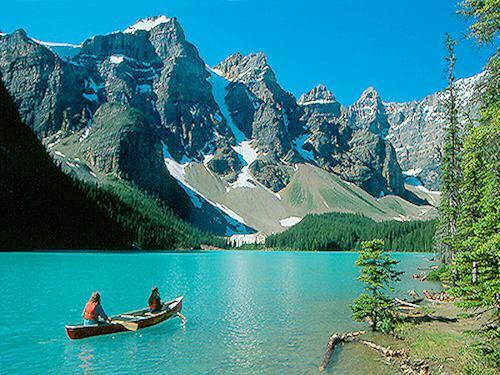 Hire a canoe here for the afternoon and marvel at the scenery. 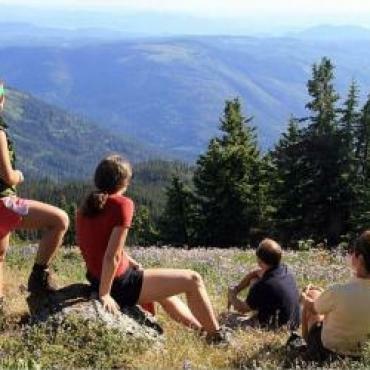 Whilst staying at any of the National Parks campground in Canada make sure the kids ask about the Junior Ranger programs and evening activities – always a lot of fun for the whole family. Rise early and take this next part of your Alberta fly-drive adventure slowly, as this is one of the world's most scenic drives along the Icefields Parkway, you won't want to miss a thing! 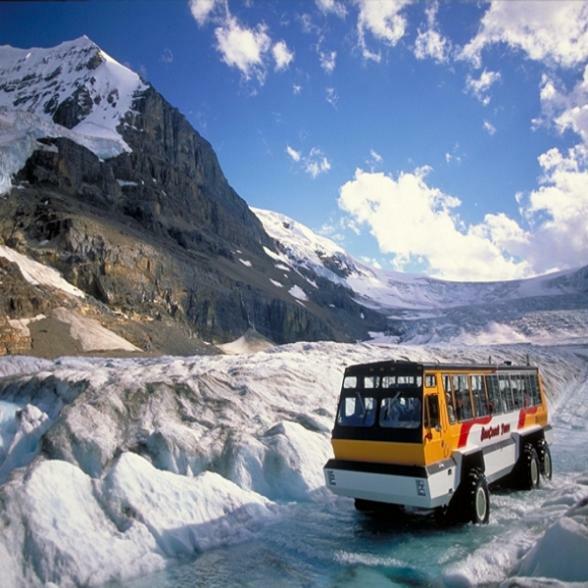 An absolute can't miss, must-do experience here is a trip on the famous snocoaches out to the Columbia Icefield and the Athabasca Glacier. During your two night stay in your next stop, Jasper, we recommend a tour of stunning Maligne Lake, a horse trek around Pyramid Lake, or a ride on the Jasper Tramway. It's time to head for your final night in the town of Edmonton and a final treat for the kids at stay in The Fantasyland Hotel. This fun family-friendly hotel has themed rooms that the little ones will adore and it's right by the West Edmonton Mall which is a mecca for family entertainement. 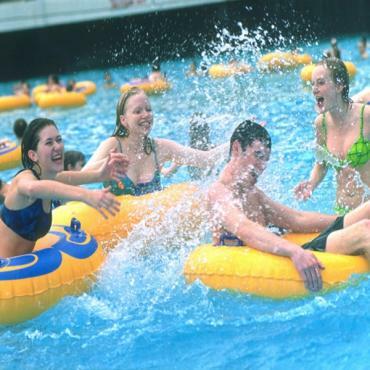 Check out the waterpark, and Galaxyland, the world's largest indoor amusement park here. Time to leave Alberta to head back for the UK. 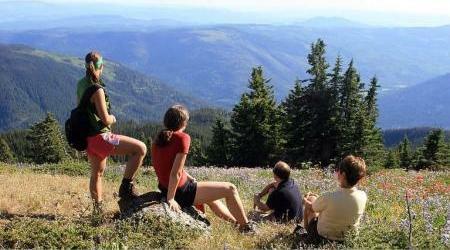 However, you may decide to extend your stay and take in a trip through the Rockies to Vancouver. Or perhaps you spend a few more days enjoying the National Parks before you head back to the UK. Call the travel specialists at Bon Voyage to discuss your perfect Alberta Family Holiday.